It’s been a while since I wrote a musical round-up piece for the blog, so given that Britain appears to have finally put the wintry weather behind it, I think it’s high time to discuss all the wonderful sounds going around at the moment. Where to start then? Well, aside from the untimely death of the Beastie Boys’ lynchpin Adam Yauch, it’s been a very positive first quarter for the hip hop. As FACT pointed out recently there appears to be a resurgence in boom-bap style underground rap, driven by new albums from former genre heavyweights El-P, Aesop Rock and Cadence Weapon. I’ve been a fan of El-P since his Definitive Jux label started putting out amazing records like Cannibal Ox’s ‘Cold Vein’ , Aesop Rock’s ‘Labor Days’, Mr Lif’s ‘Enter the Colossus’, RJD2’s ‘Deadringer’ and of course his own ‘Fantastic Damage’ in the few years after the millennium. Successive albums since then have never quite lived up to high expectations and artists associated with the backpacker movement dispersed over the rest of the decade; with 2010 seeing Def Jux’s hiatus. Thankfully the label’s relaunch has been spearheaded by his stunning return to form with ‘Cancer 4 Cure’. Album opener ‘Request Denied’ has one of the most energising beats I’ve heard in long time and when it’s followed by expertly-produced bangers like ‘The Full Retard’ and ‘Drones Over Brooklyn’; you know he’s back with a vengeance. 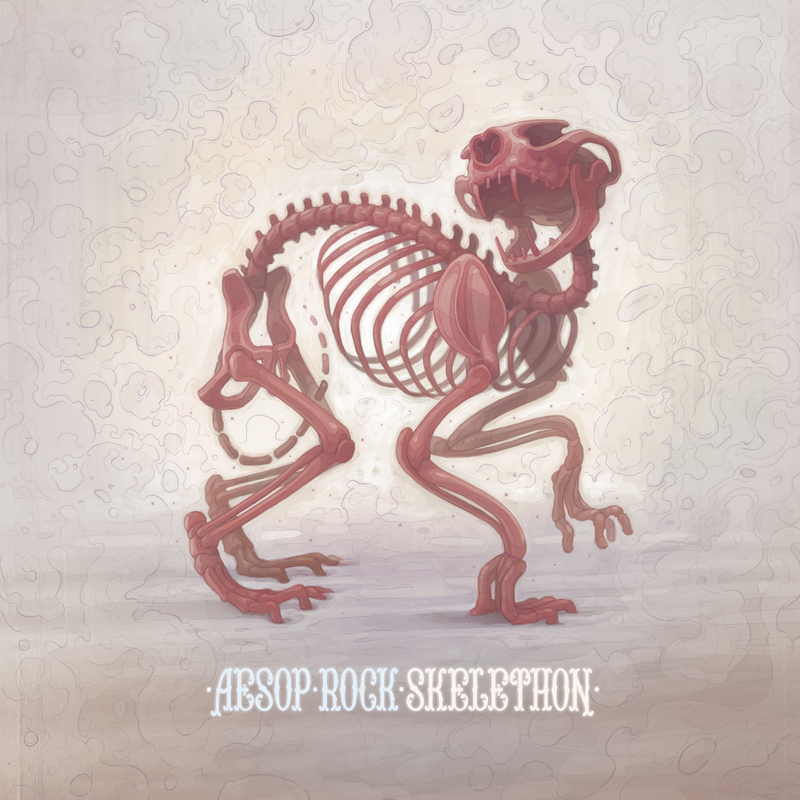 Free downloads on RCRDLBL alerted me to new music from Aesop Rock – not to be confused with the far inferior ASAP Rocky – and Cadence Weapon. ‘Conditioning‘ by the latter is a prelude to the Canadian’s new album ‘Hope in Dirt City’ which is out at the end of the month, while ‘Zero Dark Thirty’ from the former is the teaser track for his new record Skelethon; due on July 10th. A few quickies whilst I’m still on the subject of hip hop: DJ Format’s ‘Statement of Intent‘ isn’t very new anymore, but it is full of his trademark funk and soul sample sound along with talented guests like Mr Lif and Edan; out on Ninja Tune at the end of April was ex-Def Jux regular Blockhead’s fifth album ‘Interludes After Midnight’, it’s more of the same quality instrumental hip hop as this minimix proves; not so good news comes from the Flying Lotus camp as his imminently expected album ‘When the Quiet Comes’ will apparently be delayed until the autumn; and to end on an happy note, rising star Danny Brown recently gave away his ridiculously sunny collaboration with Scion A/V ‘Grown Up’. I’ve recently been doing some bits and bobs of reviewing for Data Transmission, which can act as an intro to my favourite albums of the last few months. Firstly, the debut album from Hot Chip side project New Build came out back in March and really grew on me after a couple of spins, here’s my take and below is an album stream for you to make up your own mind. Then one of my favourite producers from last year, Midland, lived up to previous hype with a superb new EP on Aus; again you can decide for yourself via Soundcloud here. And just a week ago I weighted in on the new Live mix CD from Innervisions co-founders Âme, no stream for this one, although Dummy Mag have all the tracks up on their page if you want to piece it together yourself. Other than those releases I was commissioned to analyse, I’ve chanced upon a few other fine artists that are worth sharing. On the face of it Kindness are exactly the type of hipster-hyped rubbish I’ve developed an automatic aversion to, but I gave their debut album ‘World You Need a Change of Mind’ a listen and it’s really rather good; the much-blogged 2011 releases ‘Cyan‘ and ‘SEOD‘ are really just the tipping point into Adam Bainbridge’s wonderful world of washed out new wave. I also really like the deep, downtempo house music on John Talabot‘s debut LP ‘ƒIN’; seek it out or at least give his superb FACT mix a spin. Another John, but this time from Ireland, John Daly‘s latest album is sensibly called ‘Sunburst’ as it engenders similarly blissfully Balearic feelings as his Spanish peer. And finally on that theme, Frenchman Joakim‘s ‘Nothing Gold’ is just the right thing to put on in preparation for a beach holiday. In terms of dance music designed for dingy clubs rather than sunny terraces, some old and new favourites have been producing the goods recently. Possibly my all-time favourite DJ, Monsieur Laurent Garnier, put out an EP on Ed Banger in April, which featured music melded during his live LBS shows over the previous year or so. It’s called ‘Timeless’ and features the monstrous ‘Jacques in the Box’ alongside two versions of techno masterclass ‘Our Futur‘; all of which appear to have been designed to devastate dark rooms (evidence here; doesn’t he have a brilliant accent?). A pretender to the thrones of my other favourite DJs Ivan Smagghe, Justin Robertson and Andrew Weatherall, a certain Mr Daniel Avery, has been adding to his arsenal of stripped-down techno weapons with his new ‘Movement’ EP (it’s also well worth checking out his slow and low mix for Farah). So as not to get bogged down in too much of my hyperbole, I’ll just quickly flag some of the forthcoming releases that have been getting me excited: French electro maestro Mr Oizo has a wonderfully retro website up for his new ‘Stade 3’ EP; Gold Panda’s got a nice new single out on his Notown label, which is also set to release Luke Abbott’s new EP ‘Modern Diveway‘; leftfield electronica specialist Kelpe has a new EP out, the aptly titled ‘I Felt Fuzzy‘; Richard Norris/Erol Alkan guise Beyond the Wizard’s Sleeve have got some new music on the way, although all you can hear so far is this tiny teaser; the prolific Four Tet has got a new track or two in the offing as well, check out ‘Jupiters‘ here; DirtyBird stalwart Justin Martin has a couple of tracks from his upcoming debut album up to stream, along with an entertaining mix for Below the Bassline; Simian Mobile Disco’s new record ‘Unpatterns‘ sounds pretty great; and while strictly it’s actually just been released on R&S, Lone’s debut ‘Galaxy Garden’ is also quite excellent. Finally, it’s also worth mentioning some of the mixes that have been sound-tracking my commute for the last few months. First and foremost, previously mentioned Smagghe follows his brilliant mix for Tim Sweeney with a eclectic fun-a-thon for Tsugi; melodic Scotsman Vince Watson runs through two hours of his own productions for Pulse Radio; LCD Soundsystem drummer Pat Mahoney slaps together a superb mix for DFA’s stage at the Future Music Festival; Retrofit boss Jay Shepheard takes the reins of its own podcast series; Finnish DJ/producer Ukkonen 1000’s Detroit Alternate Reality mix is truly a thing of beauty; both Photek and Maya Jane Coles‘ additions to the DJ-Kicks cannon have been exemplary; I also hear good things about Nic Fancuilli’s new Balance comp and Andy Weatherall’s Masterpiece mix for MoS; and here’s a trio of mixes from my mates which I can recommend: a bassy workout from ewon 06, James Blue’s latest Into the Washing Machine mix and an ambient experiment from Michael Ford. If that’s all too much like hard work, most of the above – plus my favourite track off Jack White’s new album, the Gorillaz hook up with Andre 3000 and James Murphy, more exemplary work by Todd Terje and the only worthwhile track on the new Orbital album – are all complied onto my latest 8tracks mix for your convenience.